RED DEER, AB – The newest brewery in the Central Alberta city of Red Deer has announced that it is now open to the public. 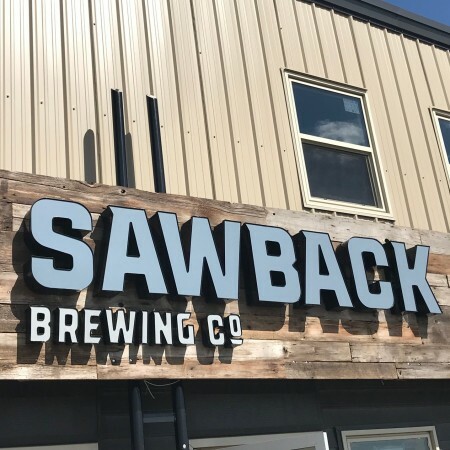 Sawback Brewing takes its name from the Sawback Mountain Range which is the source of the Red Deer River, the main water supply for the city, and has been launched by a team that includes Derek Bostock, Nathan Prestie, Tom McDonald, Caswell Johnstone, and Denielle Bostock. The brewery taproom was officially opened last Friday with a debut line-up of beers that included Hazy Blonde Ale (4.6% abv, 16 IBU), American Pale Ale (5.4% abv, 37 IBU), West Coast IPA (6.6% abv, 55 IBU), Mit Hefeweizen (4.6% abv, 12 IBU), India Dark Ale (6.2% abv, 70 IBU), Dry Stout (4.2% abv, 33 IBU), and Passion Fruit Kettle Sour (4.9% abv, 0 IBU). Sawback Brewing is located at 7023 Johnstone Drive in Red Deer, and is open 1:00 PM to 9:00 PM Tuesday to Thurday, 11:00 AM to 10:00 PM Friday and Saturday, and 1:00 PM to 8:00 PM Sunday. For more details, see the brewery’s website.